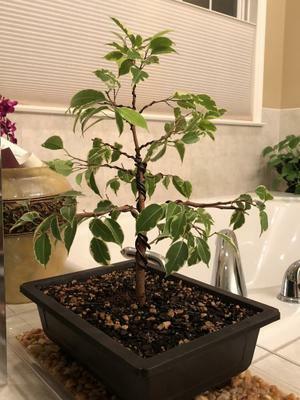 Here is my second Bonsai, a Ficus Benjamina that actually had two trunks that I separated. Then it had three distinct apex's that I pulled down two of them to create a more realistic looking tree. I hope it works.